We hope these resources are helpful to you! 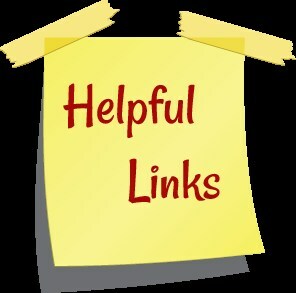 The information contained in this website is for general information purposes to be used by students and parents with appropriate cautions to examine and research the completeness, accuracy, reliability, validity, and suitability of the information contained on this website including the links to other sites. The Duluth High School Counseling Department provides the information for the counseling section of the website and while we endeavor to keep the information up to date and correct, it is your responsibility to evaluate the accuracy of this information. If personal information is requested, be sure to verify security procedures for preserving privacy and safety. Duluth High School Counseling Department does not endorse any of the companies and/or websites listed. Need a counselor letter of recommendation? No problem! Note: Letters of Recommendation must be requested at least 5 weeks in advance of your deadline. 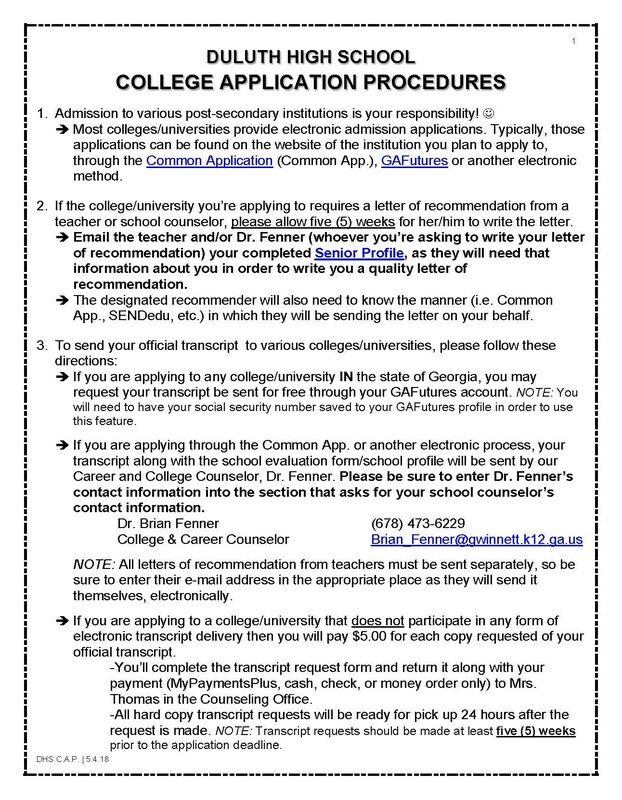 If you are requesting a letter of recommendation from your counselor for a college application or scholarship, you are required to complete a Senior Profile. This information will assist your counselor in writing a recommendation which will fully highlight you & your accomplishments. The more specific details you can give us, the more thorough your recommendation. Once completed, save this file and e-mail it to Dr. Fenner College & Career Counselor Brian_Fenner@gwinnett.k12.ga.us if it is for a counselor recommendation. If you are using this for a teacher recommendation, please email this to your teacher emphasizing your academic achievements. 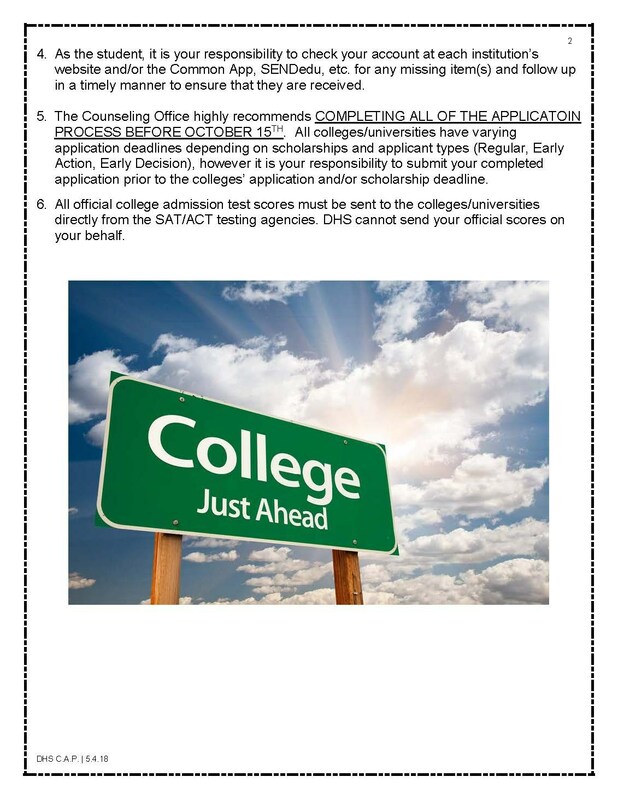 SENIORS - Be sure to review the DHS College Application Procedures handout below to ensure a smooth matriculation from DHS to the post-secondary institution of your dreams! 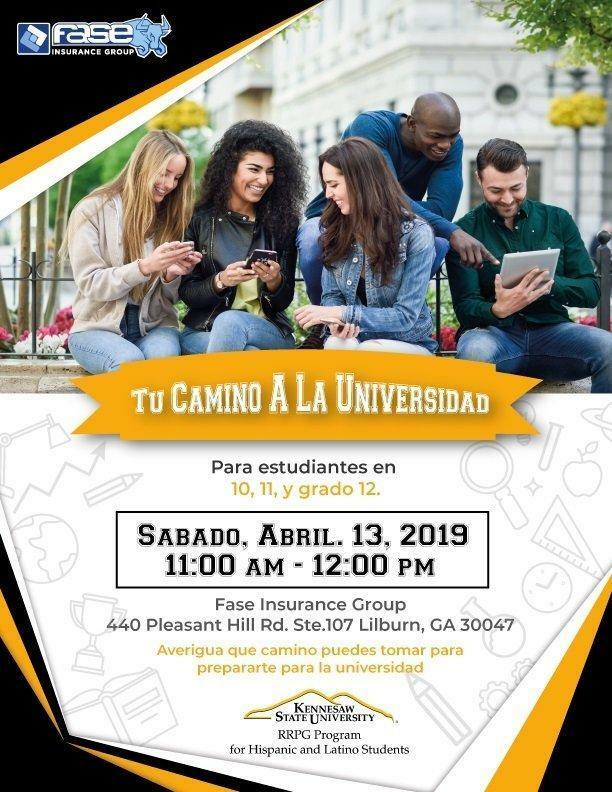 For more information on these state funded programs, feel free to visit the Georgia Student Finance Commission website at: http://gsfc.georgia.gov/hope.